Are you interested in fundraising ideas for rescue dogs? Many organizations hold a fundraisers to help cover the costs associated with caring for dogs that have been abandoned or neglected. Dog rescue organizations often rely on donations to support their efforts. Funding for shelter is often very limited so donations are a means for their survival. Many items are needed to keep a shelter functioning. 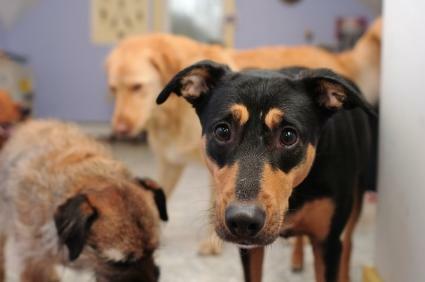 Items such as food, bedding and veterinary care are all essential to sheltering a rescue dog. Without these basic items, a shelter could not be successful in caring for the dogs. Since caring for rescue dogs can be costly, there fundraisers are often held throughout the year to assist with the costs. Not only can you set up a car wash to raise money but a dog wash as well. All you need to get started is a large outdoor space, a water source and an area for peope to see dogs that are available for adoption. Basic items such as dog shampoo and buckets may be donated by a local business so you do not incur additional costs. Have someone on hand from the rescue organization that can show the available dogs and give information on each if needed. Take a twist on the traditional happy hour event and call it Yappy Hour. This event is a great way for pets and their owners to mingle and show their support for the local dog rescue organization. This type of event can include food and drinks for owners and their pets. Ask a local restaurant or coffee shop to host the event and to donate a portion of the proceeds to your organization. To raise more money, raffle off a prize basket filled with pet supplies. Hold a yearly photo contest and have pet owners submit photos of their pets. The pets that are chosen as winners can then be featured in a calendar. Money can be raised several ways: charge a fee to enter the contest then sell the calendars for a set amount. If you can find a local printer who is willing to donate the cost of printing the calendars, there is little fee for your organization to cover. An event that can bring the community together in support of your cause is 5K walk. People can participate with or without their pets and pay an entry fee. Ask local businesses to donate goods as well as to be a sponsor at the event. Those who are sponsors can get their name on a banner or other event publications. Selling items to raise money is an easy fundraiser that does not require much work. Items such as magnets, window clings. bumper stickers, key chains and tee shirts can be printed with the rescue organization's name or logo then sold to raise money. Not only will you raise money but awareness for your cause since each time someone looks at an item, they will be reminded of the rescue and its mission to help those dogs who are in need of a good home. In addition to monetary donations, other ways people can help an animal in a shelter are to volunteer, foster a pet or donate items that are needed to care for the animals. Items such as leashes, collars and food are often needed. To find out how you can help, contact your local animal shelter to find out what they need the most.